Have you ever seen a music video that keeps you hooked from the beginning to the end with your finger on the repeat button over and over again? 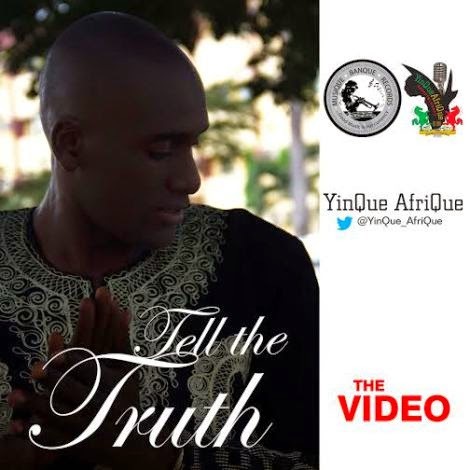 Well, that is what sensational Afro Soul crooner Yinque Afrique has done with the release of the much awaited video to his first single “Tell The Truth” which sure tells the truth of what a proper and refreshing video should be. Yinque Afrique is a singer and songwriter with a unique style of music evident in his Afro-fusion lyrics that always come across as inspirational and motivational. His songs give a positive message that will always be relevant irrespective of time and century. He has other singles like New Life, O Mbo and Stop Kidnapping to his credit which is part of his debut album which is set to drop before the year runs out.